Prevent Bathroom Falls- Bathroom falls are common, and the incidence is only increasing. Falls are a threat to an individual's health and independence. Falls significantly impact a person's ability to remain self-sufficient in their home. The Center for Disease Control reports that one of every three adults over the age of 65 falls each year. 20%-30% of these falls result in moderate to severe injuries, including fractures, brain injuries and internal injuries. Most falls happen within the home. 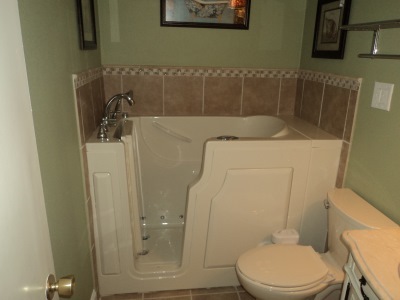 All of the staff at Independent Home Products, LLC are caring experts in bathroom safety, and we make the safety of our customers our number one priority as we design and manufacture walk in bath tubs and walk in showers. Each walk in tub is custom molded in our own NY facility to fit your needs. We also offer wider models for full figured clients.